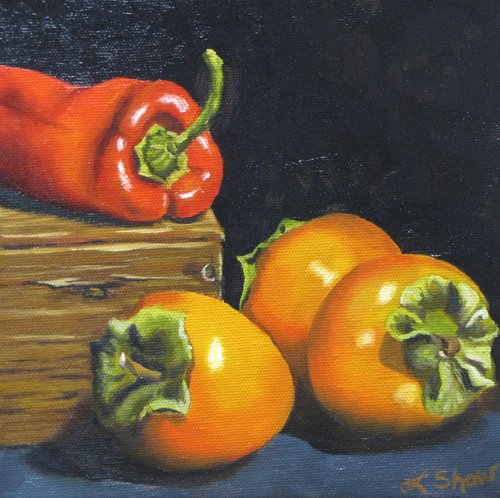 Lois Shaw paints Still Life Oil paintings in traditional style on stretched canvas or archival museum board. Born and raised in Hamilton, Lois moved to Dundas, Ontario to raise her family. She was born into an artistic family and has had a passion for painting since she was a child. She was introduced to art at an early age, being taught by her Grandmother who was an artist on Toronto Island. Lois studied Technical Drawing in College and worked as a Technical Draftsman for twenty-two years before leaving the field to pursue her interest in Fine Arts on a full time basis. Lois has a strong foundation in drawing, painting, composition, and colour. 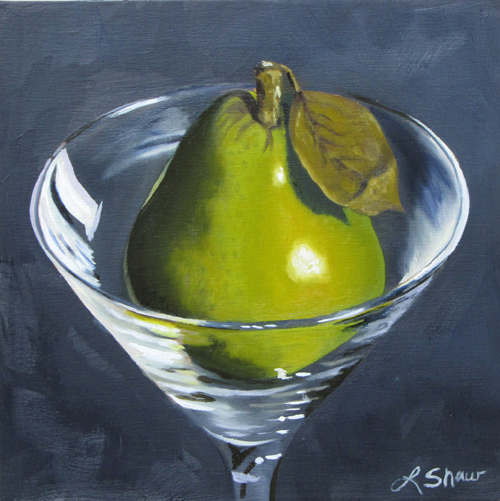 She works primarily in oil focusing on still life subjects. The precision demanded as a Technical Draftsman has influenced her art. 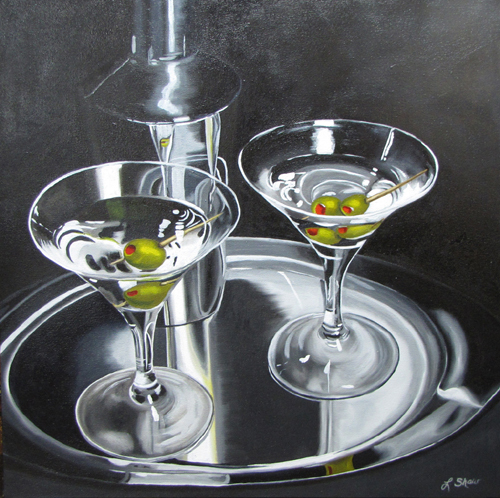 Through the interplay of light, shadow, and colour she creates a sense of drama in her still life paintings while representing beauty in everyday items. Lois is committed to sharing her art with the public. 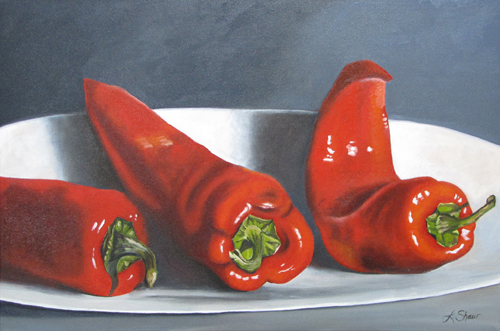 She has taken part in solo exhibitions as well a group exhibitions, demonstrations and competitions. She is part of the James Street North Art District in Hamilton, Ontario. You can visit her at her studio during the monthly Art Crawl on the second Friday evening of each month. To view her magnificent gallery of artwork, visit: http://www.loisshawfineart.com/. Posted on April 29, 2014 by Lory MacDonald.